This is an artist that I do not really like that much. She has skill and there are people who like her work, but I’m not one of them. To me her work looks kind of creepy or evil… the unseelie court maybe. But here it is anyway for your pleasure! 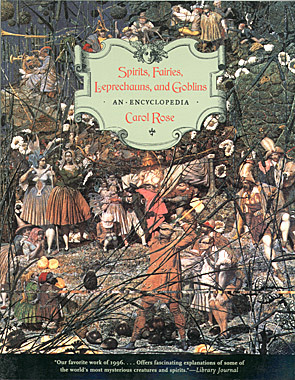 This book is a great faerie reference book. 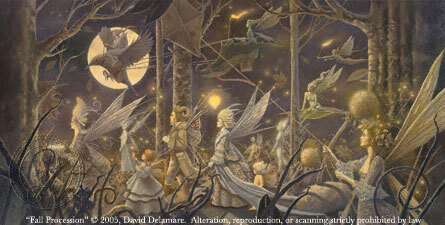 It has over 400 pages full of faeries from all over the world. This is an encyclopedia, so true to encyclopedia style there is only a small blurb about each entry, but there are a lot of entries and what is there is very informative. 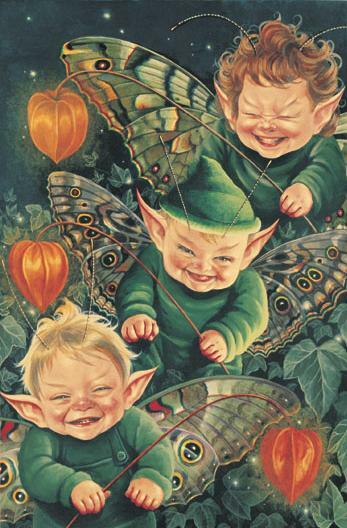 Also, the appendix separates the faeries into categories, like nymphs or goblins, etc. and then tells under those categories the faeries are separated by country, which is really useful. Something I didn’t like so much was in the actual listings there would be a term that would only say refer to another entry. This is fine as a way to both save space and to save on reiterations, but I would have preferred that the author at least give the country of origin or some reason why that term exists. There must be some difference, even if the difference is only geographical and the being is more or less the same, if there wasn’t there wouldn’t be two words for it. So that disappointed me. Overall it’s a good resource though. 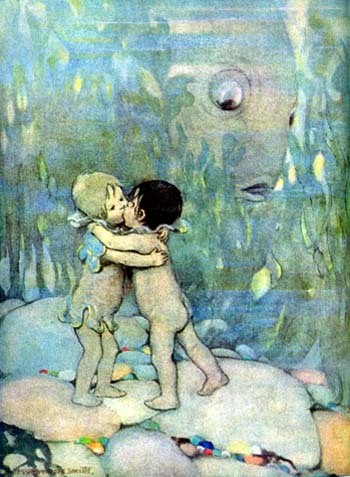 Smith (1863-1935) was the artist who illustrated the somewhat well-known book by Rev. 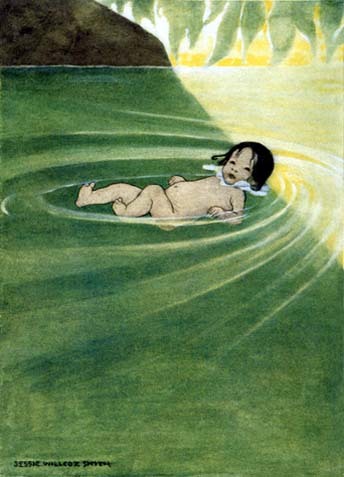 Charles Kingsley, ‘The Water Babies: A fairy Tale For A Land Baby’, which is about a boy named Tom who falls in a river and dies, and then goes on to learn moral truths. That is not her only work, but it is what I know her from. 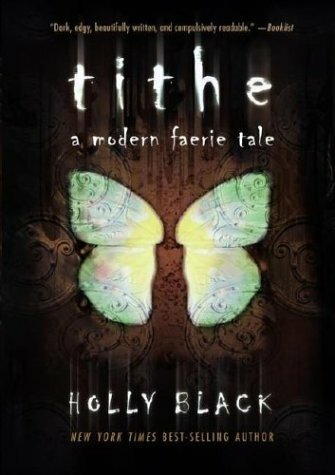 Like many tales that take place in the realm of the fae, Tithe (as the name would suggest) is a story about a girl in the human world who finds out that she has been chosen as a sort of sacrifice for the faeries. 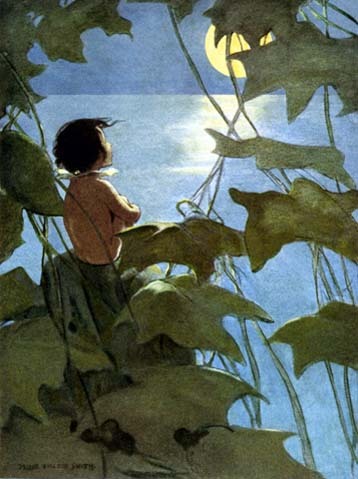 This is a pretty common story, a good one is Hunter’s Moon by Melling if you’re unfamiliar with the genre (and I’ve already done a post on it which you can see here), but Black takes this story and gives it a nice little twist. Here’s a quick intro. The story begins with a teenage girl named Kaye who travels around with her rock star mother. She should be in high school but because of all of the moving around her mother has to do, what with being a starving artist, Kaye finds her time better spent working. She has no father to speak of, as she is the product of a one night stand her mother had with a popular Japanese rock star and her mother h been jumping from boyfriend to boyfriend since. After an inexplicable attack on Kaye’s mother by her current boyfriend, she and Kaye return to Kaye’s grandmother’s house, where Kaye lived when she was young. Kaye used to have what people around her would call imaginary friends whom she would talk about all the time, but no one else have ever or could ever see. She also had a school friend when she was a child, Janet, and goes out with her and her friends after she and her mother have settled in. 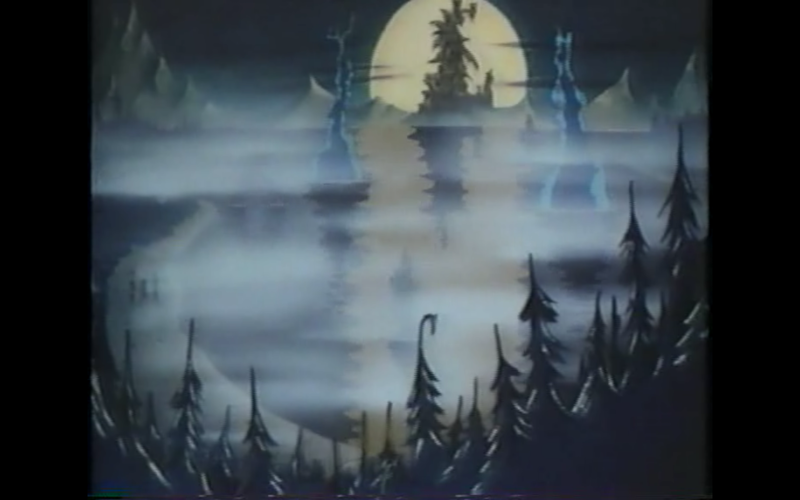 After an odd incident involving an old carnival horse, Kaye runs away from the gathering into the woods, and to add to her current state, she stumbles upon a knight bleeding to death because of an arrow in his side. The knight takes a leaf and smears it with his blood and asks Kaye to put it in the water nearby. She does this in exchange for the night’s name. When she puts the leaf in the water it summons a kelpie who takes the knight away. After some soul-searching and some conversations with some old friends, Kaye discovers that she is not as human as she seems. That she is in fact a changeling, and there are those who would like to put that information to use. I enjoyed this novel. I’ve seen it around for some time but avoided picking it up because I thought it would be like the new syrupy, poorly written, weak-willed heroine in love with two guys at once, who can’t stand up for herself or think for herself trend that seems to be popular with teen books right now in regards to the paranormal genre. 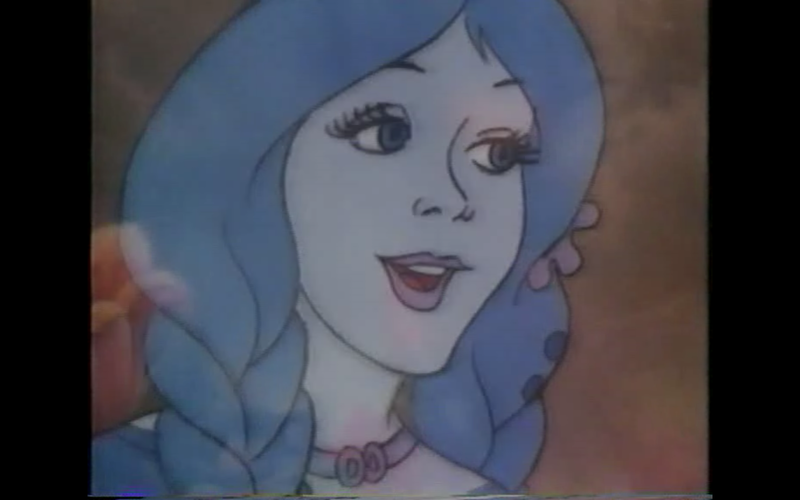 I am however happy to report that it is more like The Blue Girl by De Lint than Twilight by Stephanie Meyer. It’s an urban faerie tale with echoes of stories past, but changed enough to make it new again. I don’t know that I agree with all of the changes or slants given to how the faerie world works… in fact I would have preferred that she make the faerie realm more dangerous. This is a teen novel. It doesn’t have to be full of gore or indecency or anything (I mean it is still a teen novel), but I personally would have enjoyed it if there was a little more of the danger I usually associate with the fae. 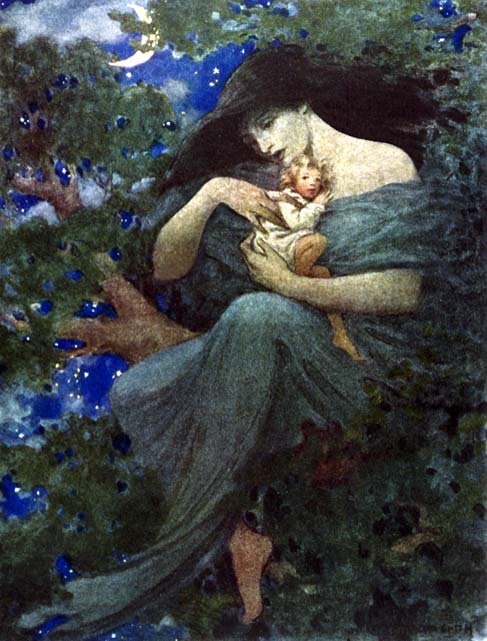 Don’t get me wrong, there are plenty suggested evil doings in the unseelie court, but the faerie food, for example, wasn’t as bad as older tales describe it. There is none of the pining away until you die or other bad side effects the food may have on mortals, it just knocks you out or gets you drunk for a while. Kind of softening the blow of the danger of faerie. Overall though it’s a pretty good book. 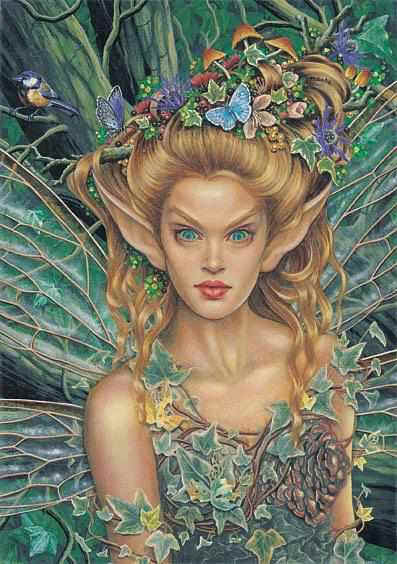 Faerie glamour is the magic faeries use to superficially change the appearance of an object, like a magical plaster. 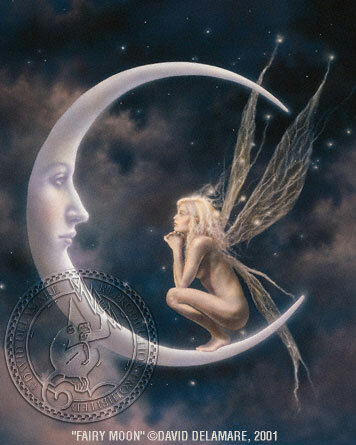 Faeries use it to make either themselves, others, or objects look differently than they do normally. The effectiveness of the glamour will depend on the strength of the faerie’s magic, but it typically serves as just an illusion or a trick of the eye to make something seem different in appearance. More powerful faeries can make glamour suppress magical ability, but this is more rare and most often glamour is just used as a form of disguise. 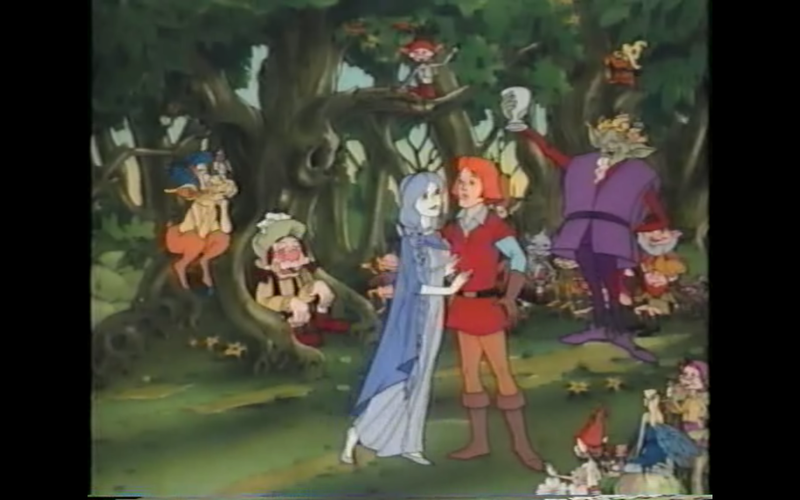 Faeries is a very short movie, not even half an hour, and is based on Brian Froud’s book Faeries. The story is about a youth named Oisin who is out on a hunt with the men to bring in some game for his birthday feast, but they have been unlucky are just about to give up and go home empty-handed. Just as the men are lamenting at even bringing the boy, a deer runs by Oisin and his horse chases it off into the forest. The deer stops to graze in a ring of mushrooms and just as Oisin is about to shoot it, it turns into a lovely young woman who states that she is Princess Niamh of the faeries. 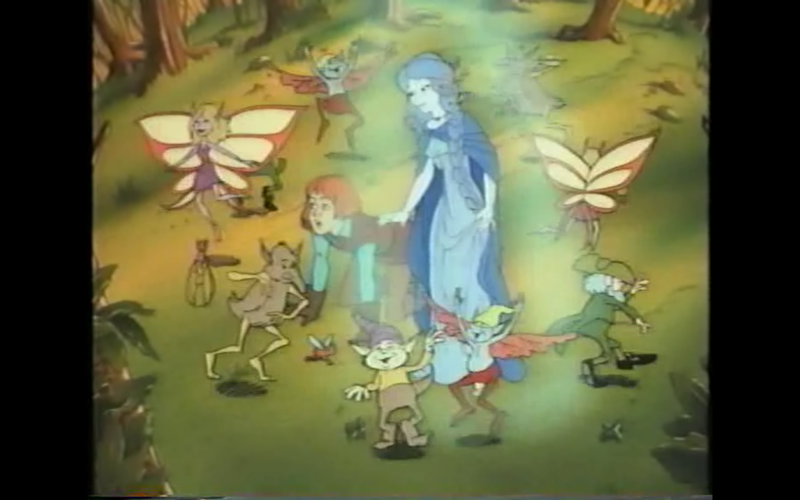 The princess takes Oisin with her to fairyland because they are in trouble. 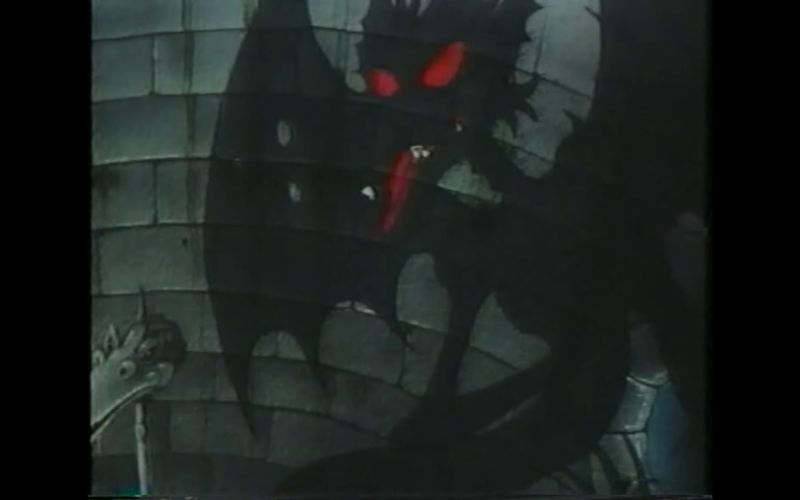 The king was showing off his magical ability and made his shadow come alive, but over time the shadow grew more powerful and began sucking power out of the king. 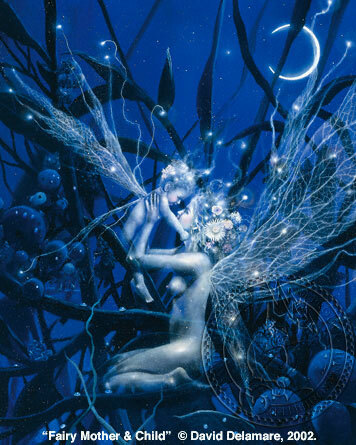 The shadow took over most of the faerie realm with it’s darkness (which weakens the powers of the seelie court) and was going to go after the princess next. It is of course up to Oisin and his assigned companion Puck to go after the monster in it’s castle and defeat it, bringing peace to faerie realm once again. The movie was decently done. Even though it was a short film it felt like a feature-length film. 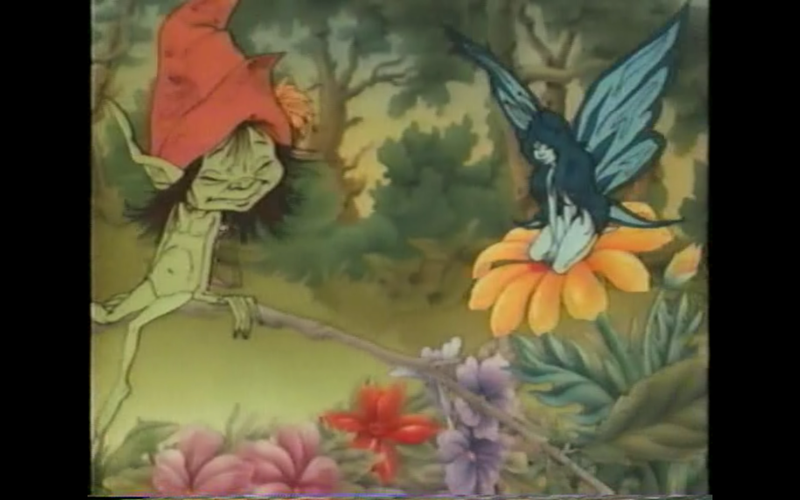 The animation of the faeries was very Froud like, which was interesting to see applied in a cartoon and was pretty accurate in regards to some creatures. 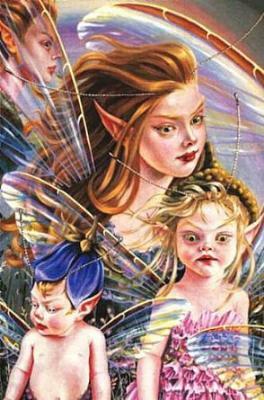 Certain poses of some of the faeries looked like they came right out of the book. There were some cheesy lines and a few easy way outs that will have you rolling your eyes, but hey, it’s the 80′s. Overall worth while. 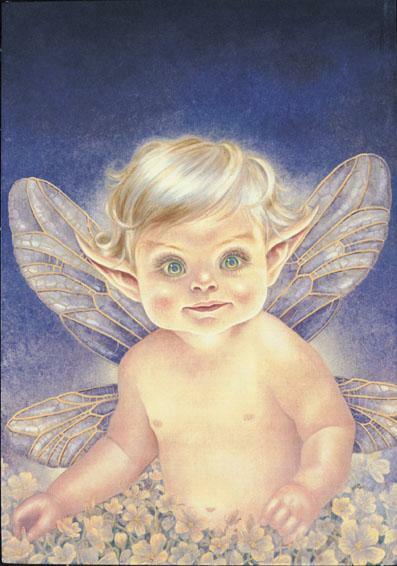 Professor claims to have photographed fairies! 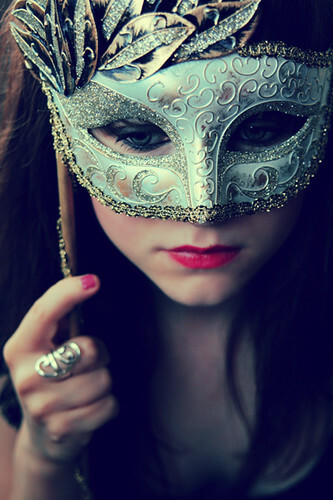 What type of mythological creature are you?